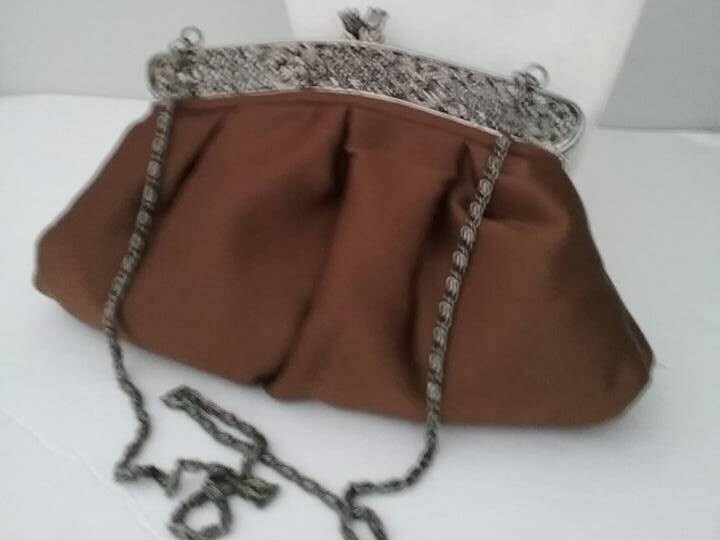 Vintage brown handbag. 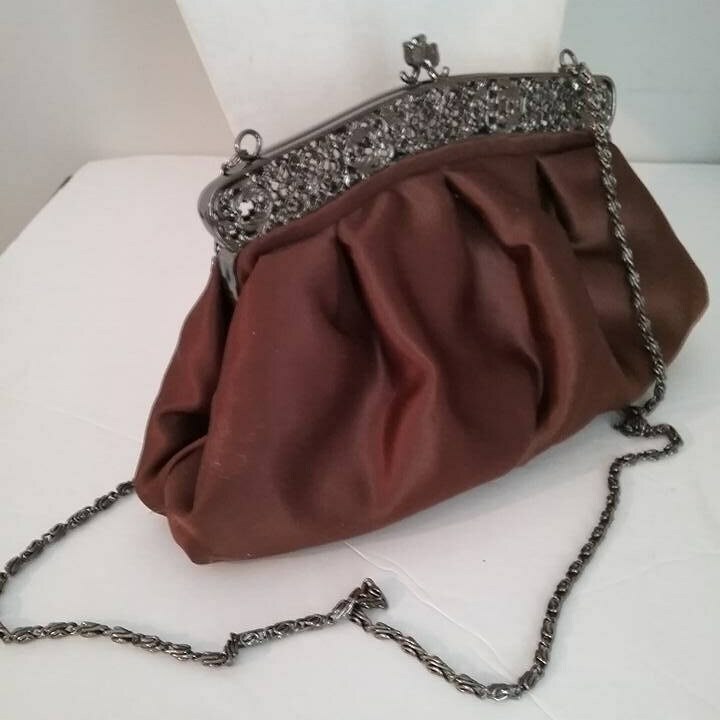 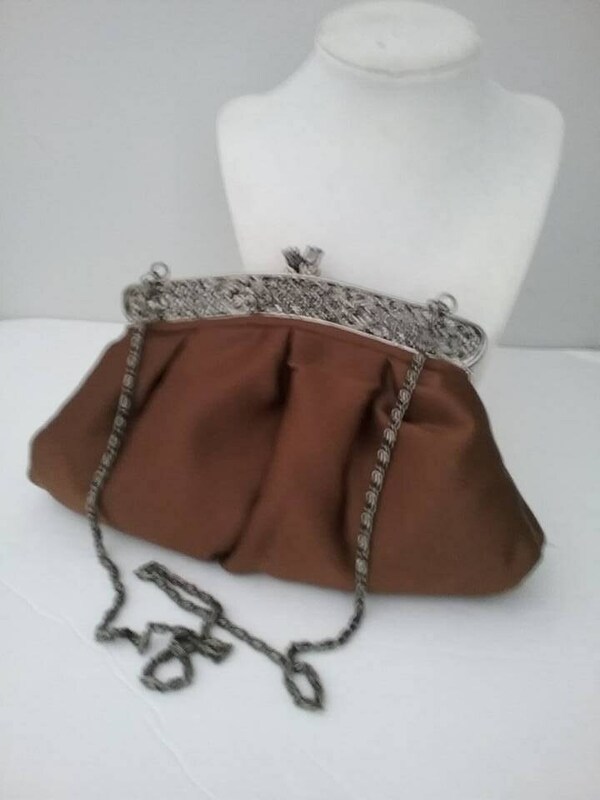 Beautiful brown satiny evening bag. 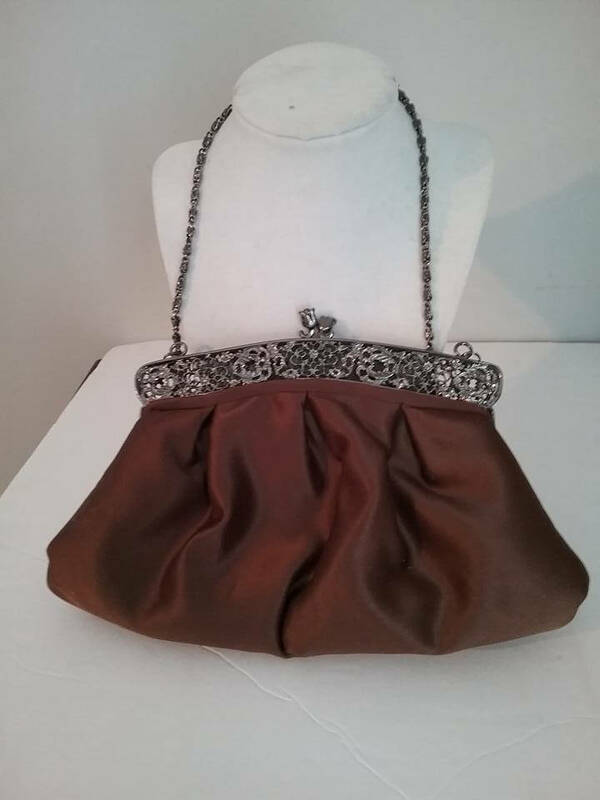 Satin puff style with silver tone filigree top and chain for over the shoulder. 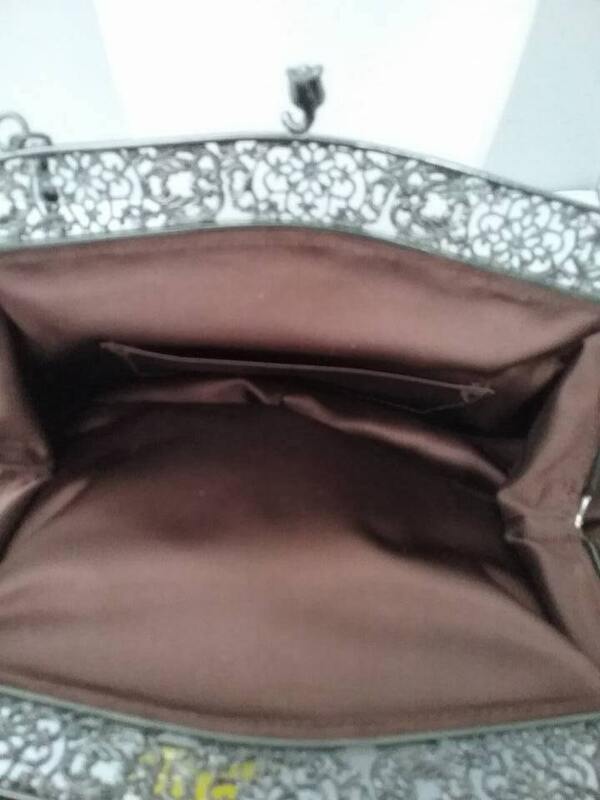 Inside is brown satin. 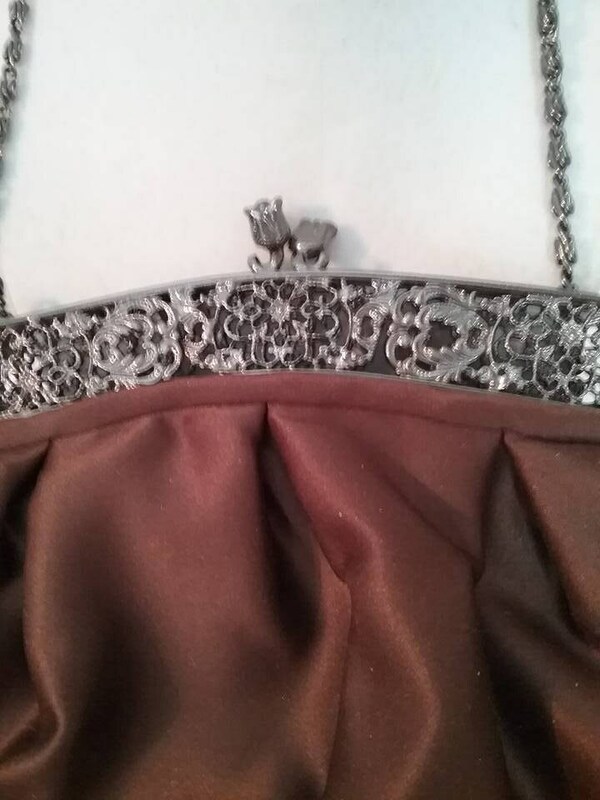 Approx 10" x 6" Closure are two tulips same color as the filigree top. 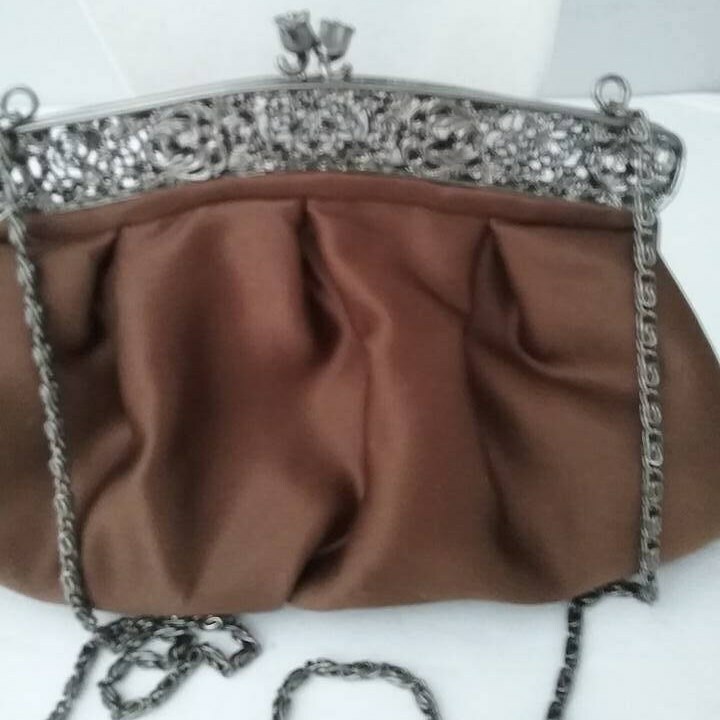 A stunning formal evening bag that will complete your outfit.